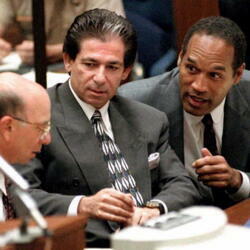 How much is Robert Kardashian Jr Worth? 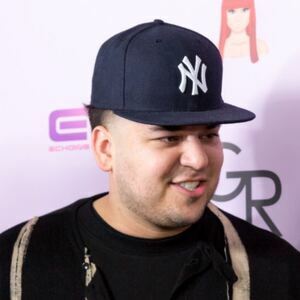 Rob Kardashian Jr net worth: Rob Kardashian Jr. is an American reality television star and talent manager who has a net worth of $10 million. Rob Kardashian is most famous for being a member of the Kardashian family. His sisters are Kim, Khloe and Kourtney. His half sisters are Kyle and Kendall. In addition to being one of the stars of the hit reality shows Keeping Up With The Kardashians and Khloe & Lamar, he's made his name as a model and talent manager. Born in 1987 in Los Angeles, he is one of four children by Robert Kardashian (from whom he gets his famous name) and Kris Houghton Kardashian Jenner. As a talent agent, Kardashian was integral to the formation and success of the pop group BG5. The group, originally managed by his mother Kris, has appeared on television on Keeping up with The Kardashians. Rob Kardashian has also appeared on the popular TV game show Dancing with the Stars, during the show's 13th season. In 2011, he participated in the NBA Celebrity Game, and had a well-publicized split with girlfriend Adrienne Bailon. He later admitted that this break up was the result of his own infidelity within the relationship. Kardashian has taken on several business ventures working with PerfectSkin, Rival Spot, the BG5, and more recently launching his own sock line, Arthur George, while also designing a men's line with Scott Disick for the Kardashian Kollection stocked in Sears. In January 2016, Rob began dating model Blac Chyna. They were engaged just three months later and a month after that the couple revealed that they were expecting their first child. They broke up in December 2016. TV Salary: According to his Keeping Up With The Kardashian's contract, Rob earns a guaranteed minimum of $1 million per year in base salary. During 2018, he took a step back and instead accepted $50,000 per episode he actually appeared in. According to documents filed in his custody battle with Blac Chyna, by stepping back Rob's monthly income dropped from $100,000 on average to less than $10,000. As such, in November 2018 he filed paperwork seeking to reduce his $20,000 monthly spousal support payments and even to potentially reverse them since Blac Chyna was making $60,000 per month.